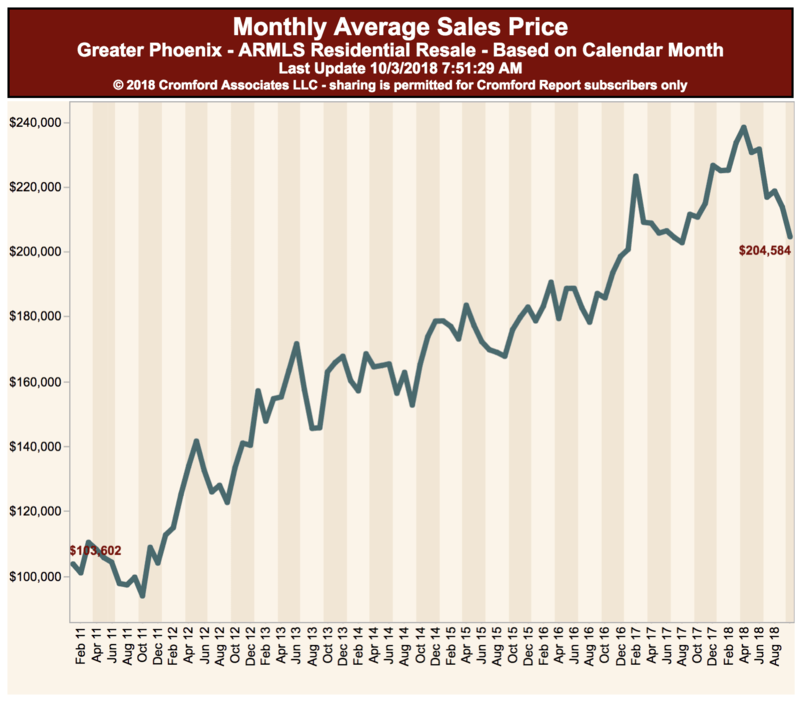 Your Phoenix Real Estate Market Report – October 2018 will get you up to speed on the local housing scene. The charts, graphs, and commentary are all here. 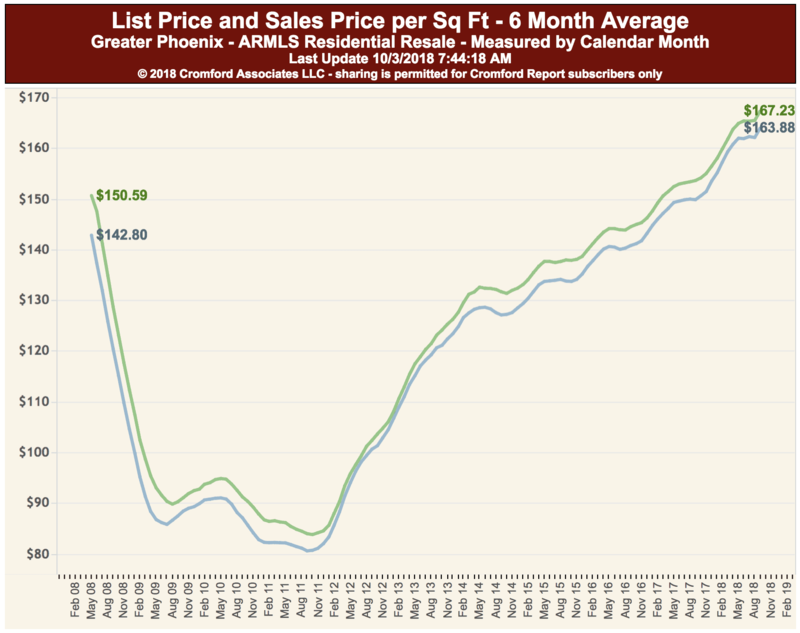 Now, let’s dig in and see what the real estate market is doing in Greater Phoenix. 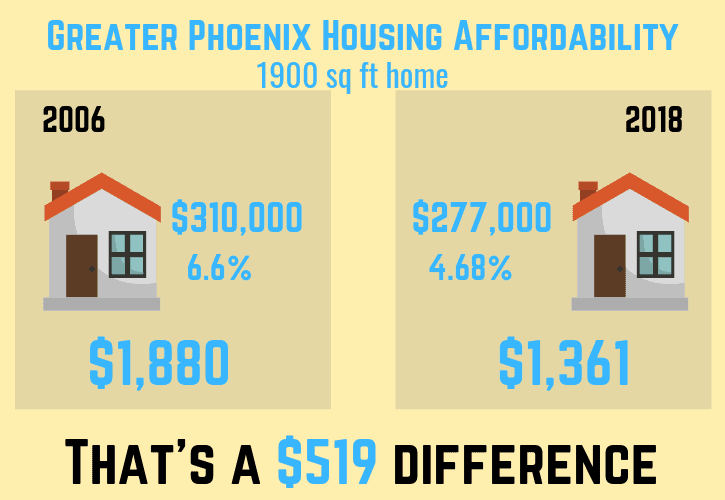 🔖 What is the Average Price in Phoenix? 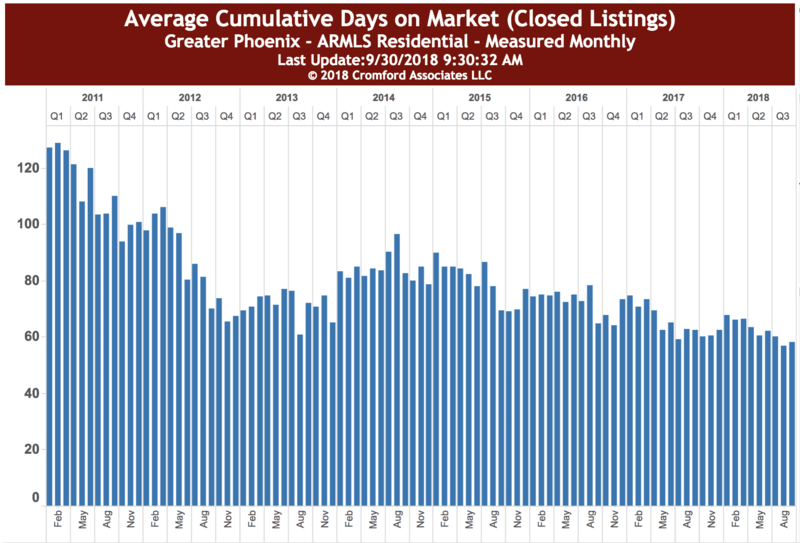 The Greater Phoenix average sales price shot up to $364,652 from the previous month when homes were averaging a price of $330, 294. The number of months supply remains the same as the previous month at 1.9. 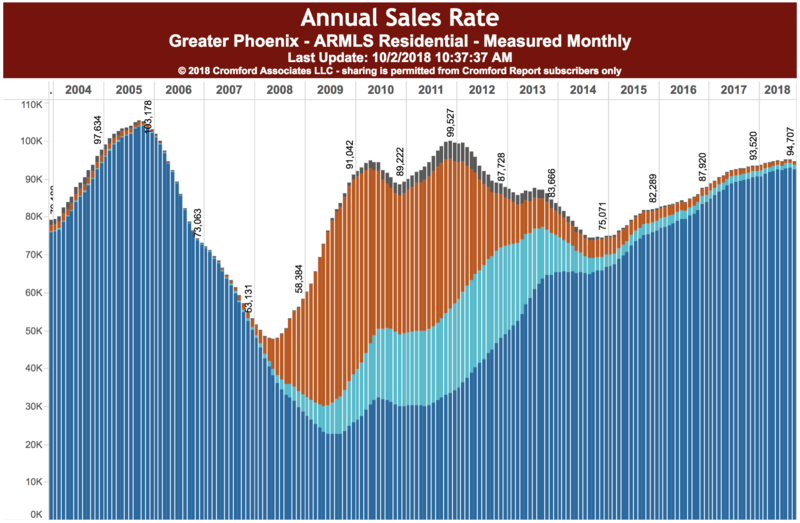 The number of annual sales increased to 94,707 total properties sold in Greater Phoenix. You can also see that the dark blue portion of the graph (normal sales) is chocking out the distressed short sales and bank-owned sales. Notice the Average price per square foot in the year 2,000 is at $95.65. Today it’s at $173.93. Actually, the change averaged out over those 18 years is equivalent to about 3% appreciation per year. That’s not a crazy number. 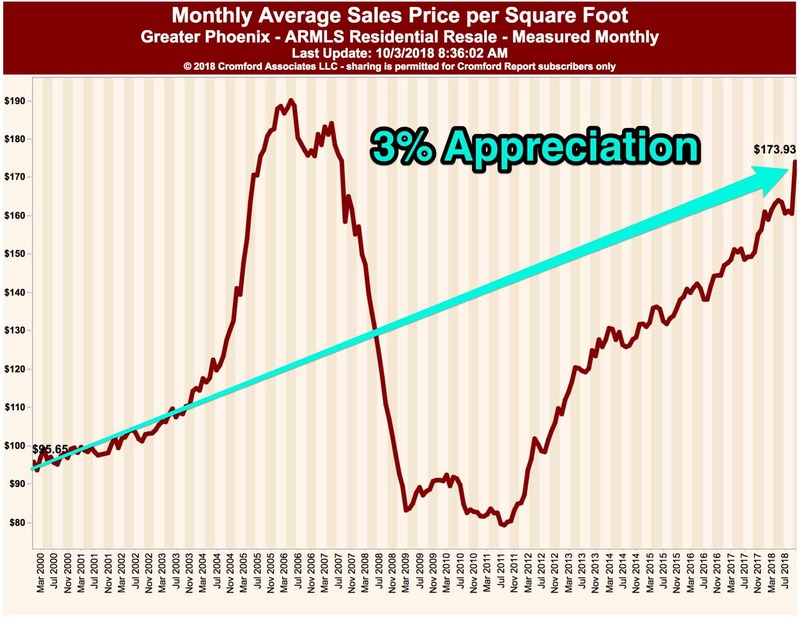 In fact, 3-5% appreciation is about what Greater Phoenix appreciation is known for over the last 7 or 8 decades. Just how affordable are homes in 2018? 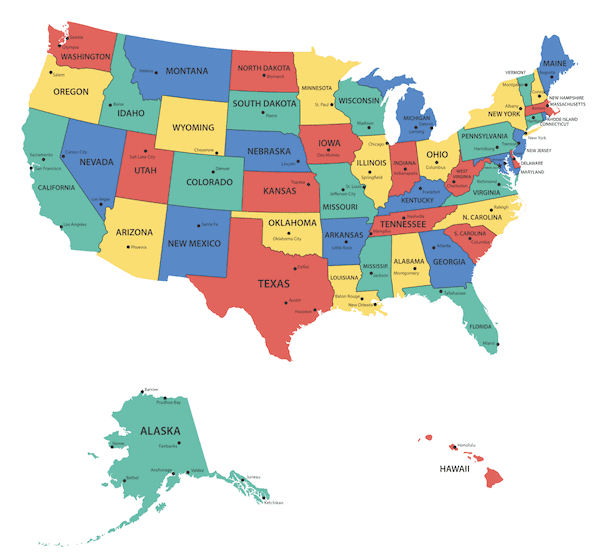 Back in 2006 the average 1,900 square foot home price average was $310,000. Today in n2018 the average home price for that same home is $277,000. The rate in 2006 was as around 6.6% depending on the date and credit profile. Today the rate is about 4.68%. This chart presumes a down payment of 5%. It shows the difference in payment of $519/month the for the same house. 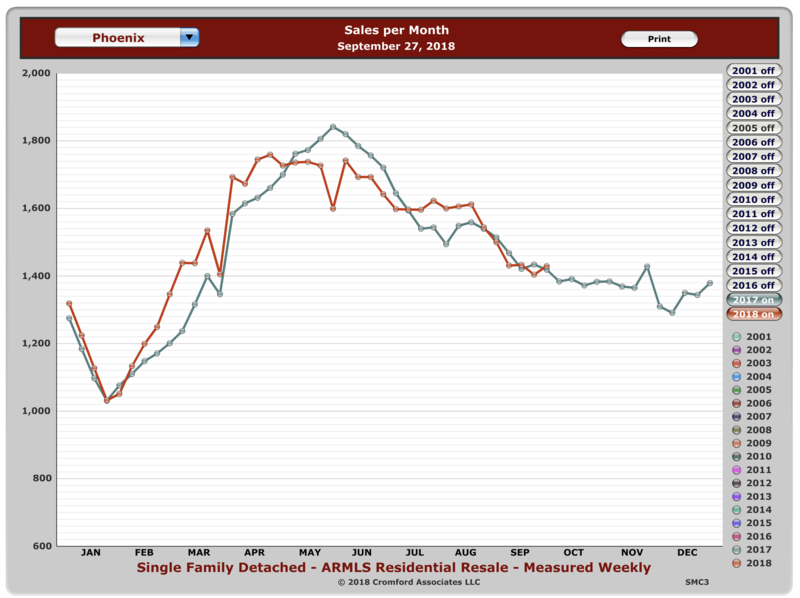 The home sales for the month of September were 1,429. This graph gives us an instant view of inventory today versus the previous 4 years. 2018 is the bronze line ion the bottom. Inventory is very low. 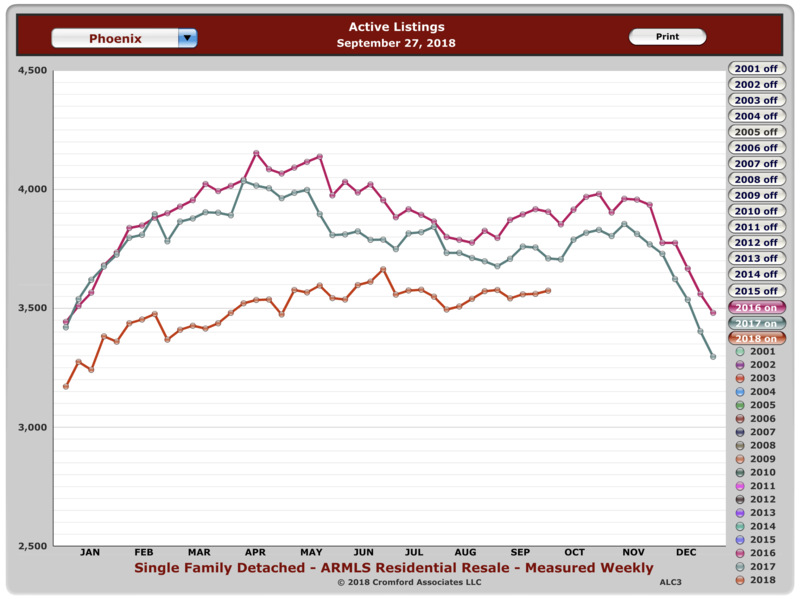 The active number of listings today is far below the appetite of the market. Again, you can compare 2018 to the previous 4 years and instantly notice the differences. the green line shows the average list price and the blue line shows the average sold price which demonstrates the spread between the two. 31 percent of the home purchases across the US were from first-time homebuyers. The percentage is the same as it was this exact same time last year. Young homebuyers are not losing confidence in their local real estate marketplace. Cash sales made up a total of twenty percent nationally. This number is up 1 point over the previous month and matches the percentage from one year ago. 18% of all sellers offered contributions towards buyer closing costs. This months REALTOR® report state that interest rates and inventory are continuing to have a major impact on the housing market. 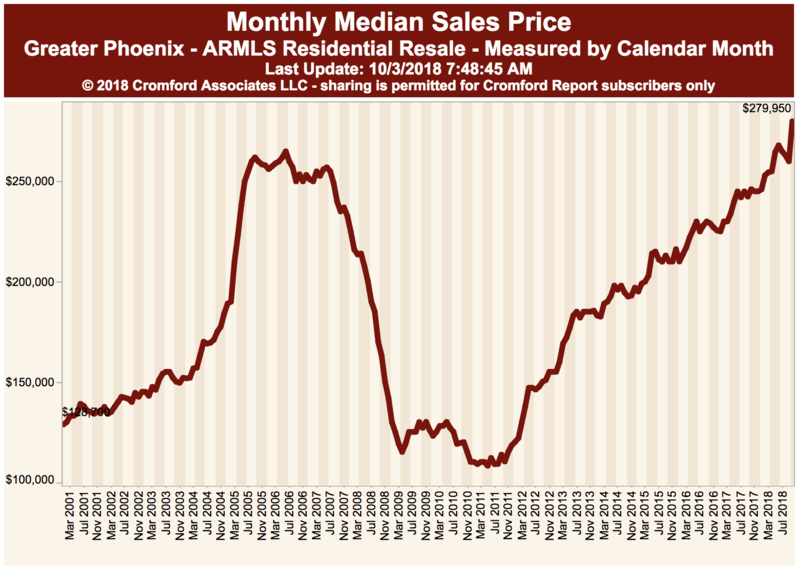 The median price range in Maricopa County was at $284,950 while Greater Phoenix as a whole was at $279,950. Both numbers are up from the previous month. 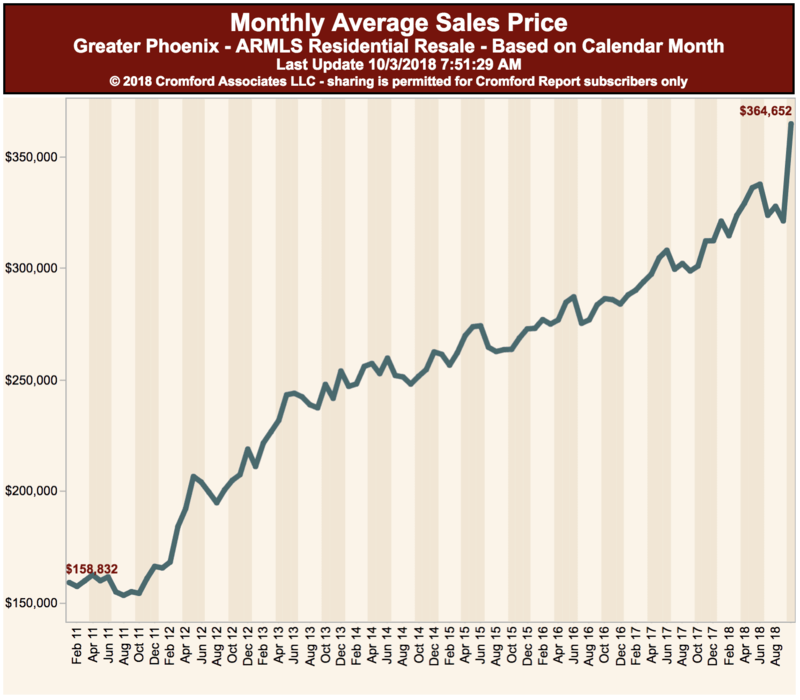 The average price for a condo in Greater Phoenix was $204,584 which is down slightly from the previous month. 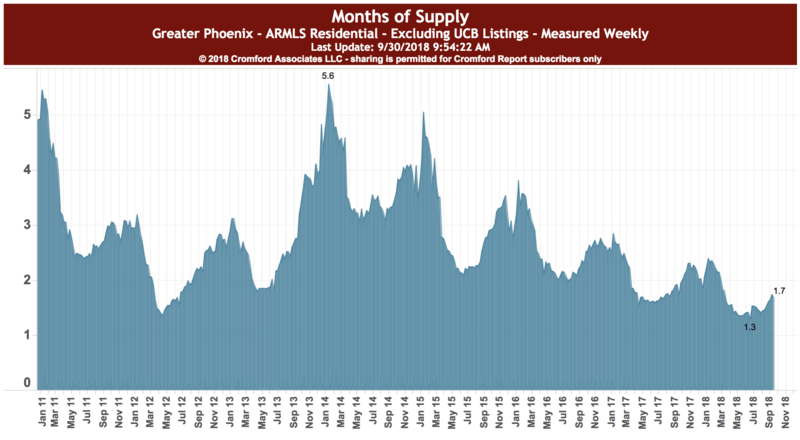 Condo inventory climber to 1.7 months supply. The prior month returned a number of 1.5 months. 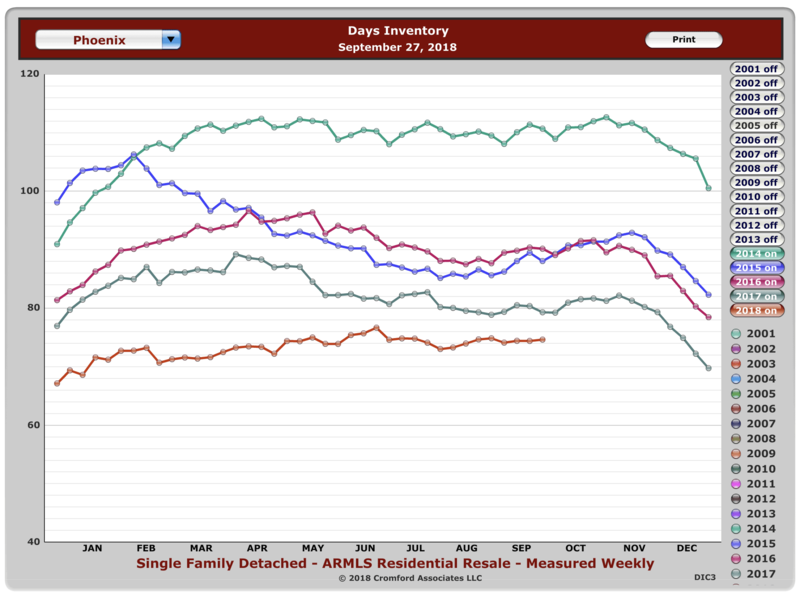 The current average number of days it is taking to get a condo sold and closed is 58 days. 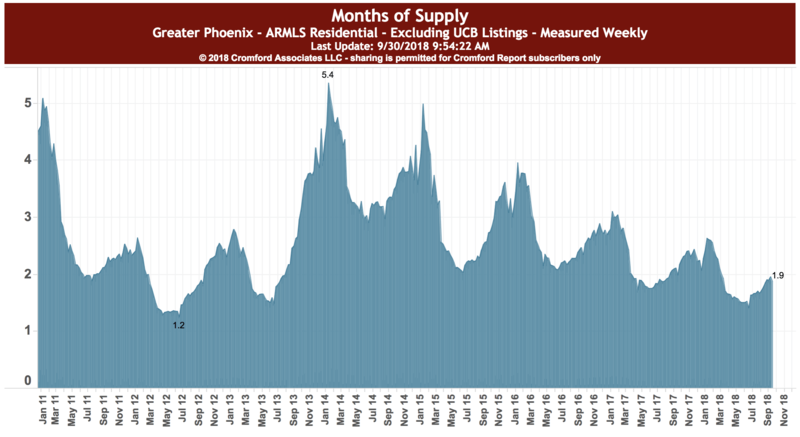 Thanks for checking out the Phoenix Real Estate Market Report – October 2018.